Slat looks over his System 001. 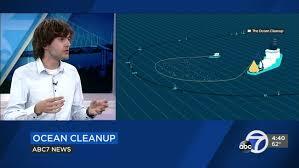 October 7, 2018—–If you’re not following Boyan Slat’s attempt to cleanup the Great Pacific Garbage Patch (GPGP), you should be! This young man put his heart and soul into this project and is currently headed for the great patch of garbage floating in the ocean. Garbage Patch swirls with the currents. Slat is the poster child of sustainable innovation for his generation, putting his energy towards cleaning up the environmental mess past generations have created! According to some critics he may not have the perfect solution—but, who else is in the middle of the ocean right now trying?? Hummm, no one! And the mess has been floating and growing for years! 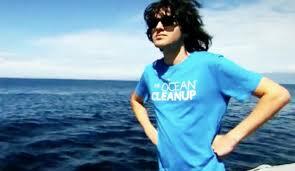 Scientists have estimated the Garbage Patch would take 79,000 years to break down and dissolve in the ocean! With the models created by Slat, his system could clean up 50% of the mess by 2025! 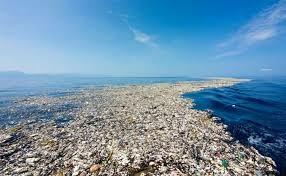 The majority of the Garbage Patch is large debris. Removing these floating pieces of plastic will prevent the breaking down into microplastics that wildlife and fish can mistake for food and eventually entering the food we eat. Instead of accepting the floating plastic as an adult problem that needs an adult solution, he went back to his high school and went to work solving the problem. Back in his high school classroom he invented a multilevel trawl with centrifugal forces that separated the plastic from the plankton and ocean life. “The System 001 is an unmanned system moving with the currents, looking like a u-shaped pipeline floating on top of the current. Beneath the pipeline is a 10 ft skirt which traps the plastic caught in the current, protecting sea life because it is solid and not a net.” Slat states, “Our systems fully rely on natural ocean currents and do not require an external energy source to catch and concentrate the plastic. All electronics used, such as lights, will be solar powered. This young man has the concentrated and innovative talent our planet needs! 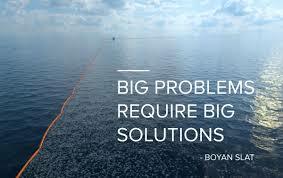 You can follow the project currently underway on Facebook ((https://www.facebook.com/boyanslat) or see an up-to-date timeline on his site, The Ocean Clean Up, https://www.theoceancleanup.com/system001/. Also, you can find his TED talk on YouTube or follow on Instagram. Categories: Building Green, Climate Change, Sustainable Education | Tags: #Boyanslat, #climatechange, #renewableenergy, #theoceancleanup, Climate change, Renewable energy, Renewable Resources | Permalink.